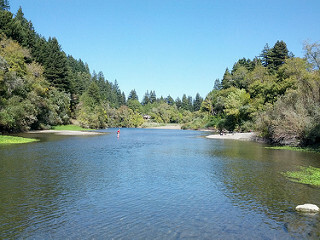 The Russian River in the Sonoma County community of Guerneville. Situated on the banks of the Russian River amid towering redwood trees, the small, scenic, and relaxed community of Guerneville is becoming an increasingly popular spot for Sonoma County homebuyers, particularly given that real estate there remains quite affordable. Located about 20 miles west of Santa Rosa where state Route 116 meets River Road, the community of 4,500 residents has long been a favorite weekend getaway spot for Bay Area residents. Although the Russian River Valley primarily attracts second-home and vacation-home buyers, one of Pacific Union’s top Sonoma County real estate professionals says that first-time buyers are also purchasing properties in Guerneville and surrounding communities. The community’s walkable main business district along River Road — also known as Main Street — is just a few blocks long and is lined with about two-dozen mom-and-pop restaurants and businesses, as well as a Safeway supermarket. Although far from a nightlife destination, the town has several taverns, microbrewery Stumptown Brewery, and live-music venue Jerry Knights River Theater. The spectacular Russian River is perhaps Guerneville’s biggest draw, and long-time local favorite Johnson’s Beach is the center of the action. Located just two blocks off of the community’s main strip, visitors to the beach enjoy sunbathing, swimming, and exploring the river by canoe or kayak, which are available for rent at the boathouse. Nearby Armstrong Redwoods Natural State Reserve and Austin State Recreation Area offer ample opportunities for hiking and horseback riding beneath the massive trees. Guerneville also offers quick access to rugged, breathtaking Sonoma Coast State Park, located less than 15 miles to the west of town near where the Russian River flows into the Pacific Ocean. Residents are a short drive from the many wineries that line state Route 116 and River Road to Guerneville’s east. Well-known for its California Champagne, Guerneville-based Korbel Winery offers daily tours and tastings, as well as a gourmet delicatessen and market. For a community that offers so much to do within such close distance of Santa Rosa, Guerneville remains quite affordable by Sonoma County standards. 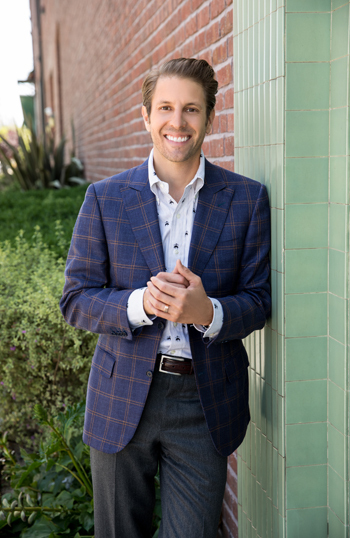 Our real estate professional points out that Guerneville and surrounding communities are some of the few areas in Sonoma County where it’s possible to purchase a home in the $300,000 range. According to MLS data, the median sales price for a single-family home in the community was $375,000 in August, compared with $534,000 countywide. But as more buyers discover Guerneville and the allure of the Russian River Valley, prices are rising, and inventory is tightening. August’s median sales price was up 14 percent from a year earlier and 39 percent from August 2013. The months’ supply of inventory (MSI) for homes sold in the community was 2.3 in August and has not exceeded 3.0 in nearly a year. Next PostNext Buying a Home? Insist on an Inspection.